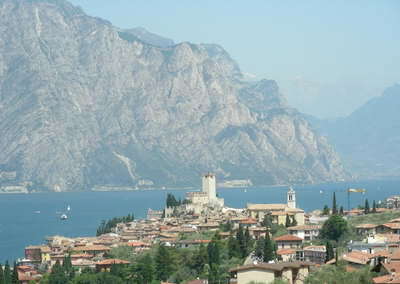 "Malcesine is a beautiful town, full of character and things to do"
Malcesine is a good size town located at the foot of Monte Baldo (the highest mountain around Lake Garda). 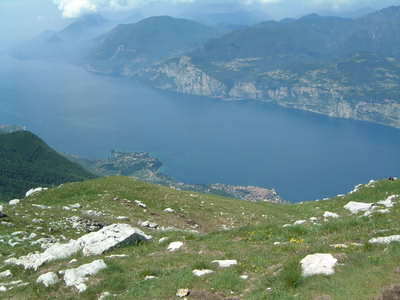 Whilst the mountain does not climb as vertically as the seemingly impossibly vertical north west side, the sheer height and scale of Monte Baldo leaves a grand and lasting impression. 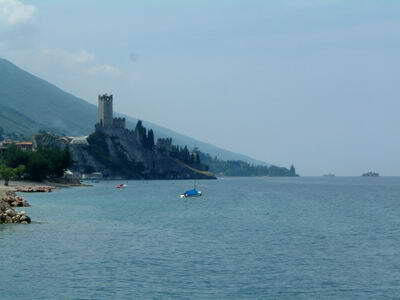 The castle hanging on to the edge of the lake is the focal point as you approach the town and is located right by the town centre. The port area and the surrounding streets are full of old buildings and the slopes and steps only give it more character. There are tons of lovely shops and eating places, so we really enjoy wandering and dining here. The town only has one main road through it though, so traffic can be slow and busy. 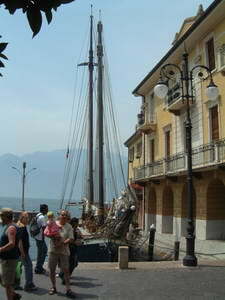 One of our favourite things to do here is to go up Monte Baldo on a cable car. On a clear day the view from the top is awe inspiring and looking down on the town from around 6000 feet up is breathtaking. Try going earlier in the day when the weather is hot as this is often the clearest time of the day to enjoy the spectacular views.